After years of lack of documentation, I have decided to bring that to an end. 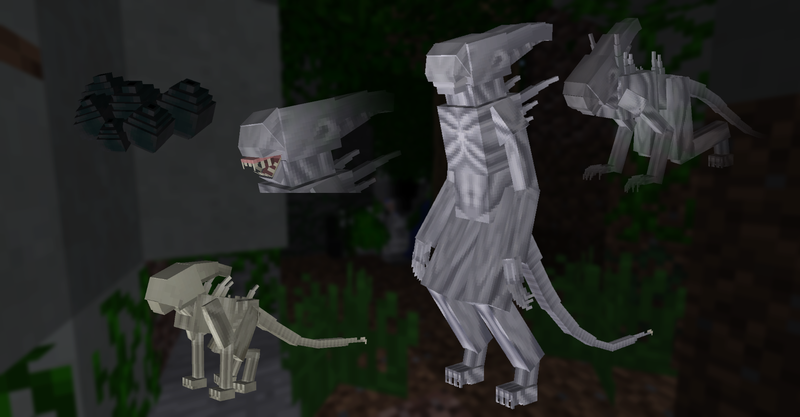 Today I launched an official wiki for the AliensVsPredator Minecraft Mod that can be edited by the community. I will begin the layout and initial documentation immediately. The only features that will not be documented are the mobs, as we feel that it is best to explore and discover them on your own. After all, if everything were completely documented, what fun would it be? After much anticipation, AvP is now on 1.12.2! Keep watching here as soon some new content will drop as well! 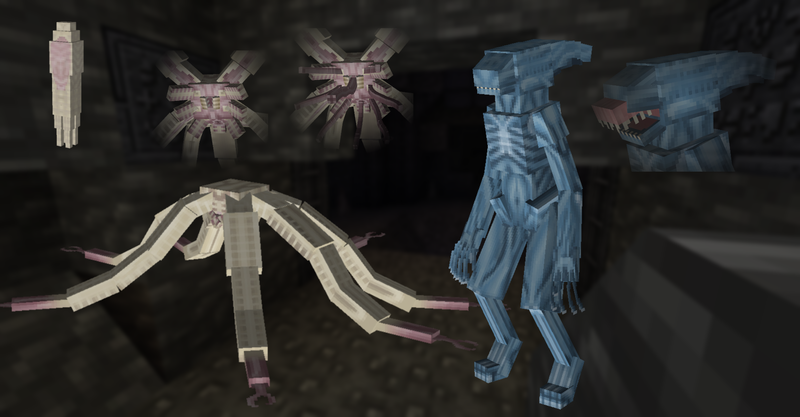 The Neomorph lifecycle is not the only new mob line being added; we are also releasing the Protomorph line in tandem with that of the Neomorph. The eggs of these monsters - dubbed "Protovamorphs" - will have a low chance of spawning in the caves and underground spaces of Paradise. Similar to the standard Ovamorph, if it detects a host nearby, the Protovamorph will release its own unique Facehugger- the Protohugger. After the Protohugger's "business" (read: the impregnation of the unfortunate animal or human) is finished, a Protoburster will tear its way out of the host and enter the world. This juvenile organism will eventually mature into a properly developed Protomorph, dooming everyone in the area to a bloody demise. 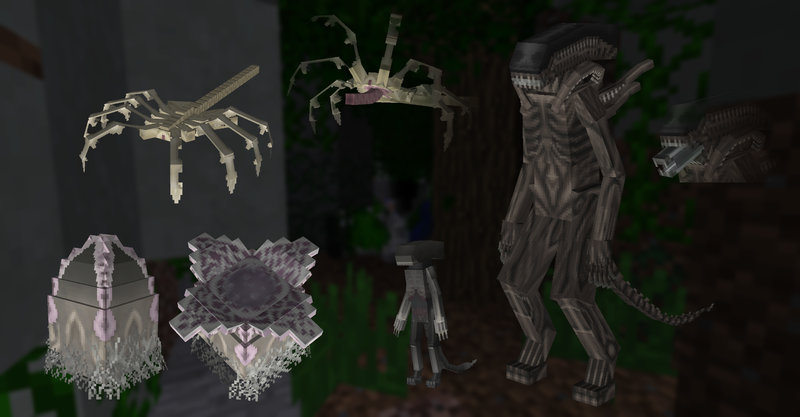 In preparation for the upcoming Covenant update, we have completed and prepared the entire Neomorph lifecycle, as follows: When certain plants are exposed to the Black Goo, they will develop Spore Pods. The Spore Pods will emit a cloud of particles that will target a nearby viable host and infect them with a Neoburster. This Neoburster will eventually erupt from the host, killing them instantly. After some time, the organism will develop into a fully-grown Neomorph, completing the process. There has been yet another theme update to the website in preparation for the Minecraft 1.10.2 update, as always let us know what you think, especially if you think it could be better! See you at the update's finish line! As of today, there have been several changes to the overall design of the website. It has been optimized for lower end systems and also has had several response time improvements. Please let us know what you think or if you have any concerns about the site in its current condition. Thanks! AliensVsPredator 4.0 was supposed to come out in 2015, unfortunately, that just wasn't possible. We'll do our best to get version 4.0 out early this year though. Have a great year! Recent downtime was a result of a power failiure, causing the server hosting this website to go offline. Everything has been resolved. Sorry for any inconveniences. Aside from that, in approximately a week or so, a newer, more powerful and efficient server will be brought online to replace the existing two. Modem upgrades did not go as smoothly as expected. The ISP provided the wrong modem, and half disabled the original modem, forcing us to have a network split between two separate modems. More maintenance will be required within the next 12-24 hours. Thanks for your patience! On 12/11/2015 there will be website downtime from about 4:00PM-8:00PM Central Time Zone for a modem upgrade. We'll make this process as fast as possible. Thanks! As most of you may know, the AliensVsPredator mod and Prometheus mod were merged as of AliensVsPredator 4.0. Of course this mod was supposed to be strictly "Aliens Vs Predator", but as Prometheus falls under part of the Alien series, and the Alien series fits under part of the Aliens Vs Predator series, it has been decided to merge the two mods. Please let us know what your thoughts are.